Our next fundraiser is a fun night out of music, dancing, beer and WI cake. Organised by HBWI member, Fliss, the profits will be split between our charity of the year, Smartmove, who help homeless and vulnerably housed people in Calderdale and Hebden Royd primary school’s book fund. HBWI are passionate about our community and we’re pleased to be helping two great local causes. 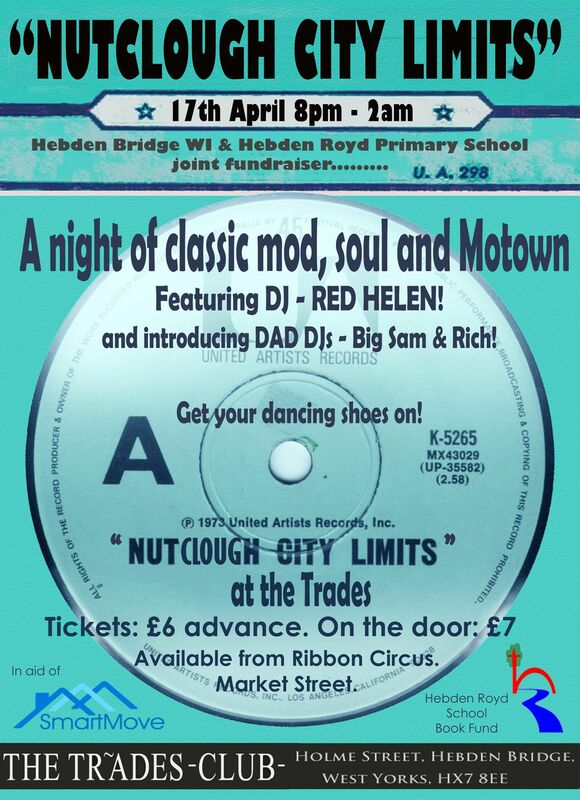 It’s bound to be a great night out, we hope you’ll come along and party with us – all genders welcome, just make sure you’re wearing shoes you can dance in and bring plenty of money for a slice or two of delicious homemade cake! Invite: Get on yer bike!